learns that there is no place quite like home. Songs and music abound in this reworking of the classic fairy tale. 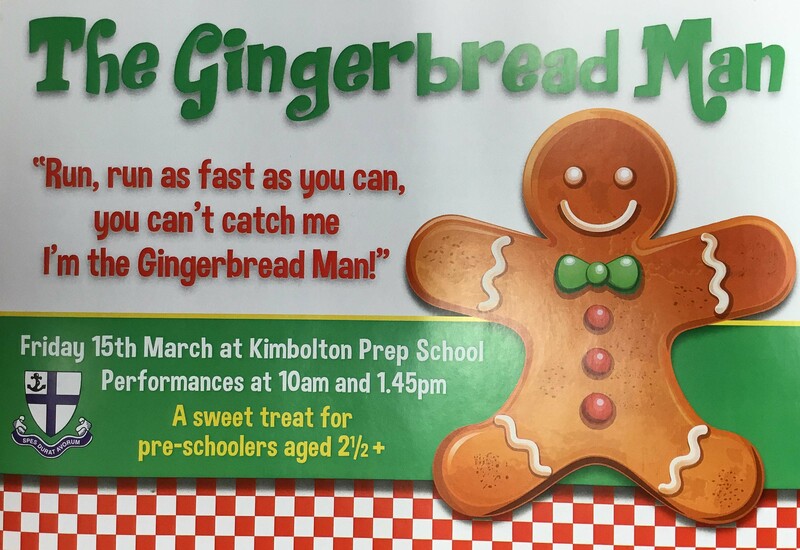 The acclaimed Aesop's Touring Theatre Company will be visiting Kimbolton Prep School and we are inviting children from local pre-schools and nurseries (with their parents) to join in the fun. Each show is 45 minutes long and is suitable for pre-school children over the age of 2.5 years. Please do not bring children who are younger than this as they may disrupt the performance for others. Please note that, while there is no charge for this event, you will need a password (available from participating nurseries or an event flyer) to book tickets. As the school will be in session, we need to know the details of all attendees.